Aran-orin is one of the communities in Irepodun Local government Area of Kwara state. Indigens are typically Yoruba and Igbomina language speaking people, who migrated from Ile-Ife at Jaran compound of Ife in Osun state. They are very rich in culture. 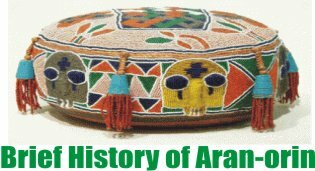 There are different and popular religion in Aran-orin; Christianity, Islam and Traditional belief. Despite different religious belief, there is unending love within the community and good relationship with neighboring community. AS the ongoing strike enters its 10th week next Monday, five universities in the Niger Delta region, have vowed to heavily fall on any university found truncating the ongoing strike by the Academic Staff Union of Universities (ASUU), insisting that the action must be pursued to its logical conclusion. This stance was taken after a crucial meeting of the Benin Zone, at the Delta State University (DELSU) Abraka, Delta State, last Wednesday. Zonal co-ordinator of the body, Dr Sunny Ighaho, while addressing journalists after the crucial meeting, said the zone would not tolerate any university that will scuttle the industrial strike that is rounding off it’s ninety week. The universities represented at the meeting were the University of Benin, Delta State University, Abraka and Ambrose Alli University, Ekpoma. Others were the Niger Delta University and the Federal University of Petroleum Resources, Bayelsa and Effurun respectively. According to him, the strike has reached a critical phase where government is now applying the instrument of intimidation and blackmail as well as other gimmicks to undermine and whittle down the struggle. While calling for the implementation of the 2009 ASUU/Federal Government agreement, Dr Ighalo condemned government’s ploy to break the resolve on the struggle by forcing the union to end the strike through a meeting attended by the committees of pro-chancellors and vice-chancellors. “Our union has no intention to renegotiate the said agreement until it is fully implemented. What makes a person or organisation is honouring an agreement freely made. The government should honour the agreement freely entered into with the union since 2009,” remarked the union zonal co-ordinator. Dr Ighalo with whom were other members of the body, called on well-meaning Nigerians to prevail on government to demonstrate integrity and good faith by respecting and honouring the said agreement. The team also pleaded with the Baraje group not to open the new secretariat it was planning to. As part of its contribution to United Nations’ peace operations, 700 soldiers from the Nigerian Army have been deployed to Liberia. Addressing the troops at their graduation ceremony from the Nigerian Army Peacekeeping Ccentre, Jaji, Kaduna, the Chief of Army Staff, Lt-Gen. Azubuike Ihejirika, who was represented by the Commander 222 Brigade, Maj-Gen. Adeniyi Oyebade, charged them to exhibit high sense of professionalism and patriotism and to shun acts capable of tarnishing the country’s image country. According to Channels Television, he urged the troops to abide by the rule of engagement of the peace support operation and to respect the cultural values of the people of Liberia, wishing them success in their operations in the West African country. Commandant of the college, Maj-Gen. Zaruwa Uba, said the troops were adequately exposed to standard operating procedures during their four weeks’ training ahead of their deployment to Liberia. Abuja: At least 50 members of radical group Boko Haram were killed in a raid launched by Nigerian Army in the country's northeastern Borno state, the military has said. Military spokesman Sagir Musa said the raid was launched yesterday on the insurgents camp after they killed 15 civilians earlier in the week. According to him, a village that was captured by the insurgents was freed. "As at now, the soldiers have gone after the remaining terrorists who are on the run" he said. The insurgents, on Wednesday, had attacked two villages of Gajiram and Bulabin killing 15 persons and injuring several others. 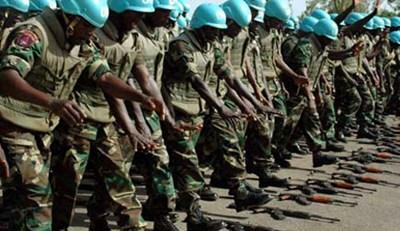 Nigeria declared a state of emergency in three northeastern states in May as it fights Islamist militants. The group's aim is to establish and Islamic caliphate in the country and more than 2,000 persons have died since it commenced killings and bombings mostly in the northern part of the country. Nigeria's 150 million people is evenly distributed among Christians and Muslims. There was tension in Anambra State Friday following an Abuja High Court ruling lifting the suspension of Senator Andy Uba, his brother Chris Uba and three other party chieftains for organising parallel primaries in the state as well as the court injunction obtained by one of the aspirants, Prince Nicolas Ulkachukwu restraining the PDP from recognising Comrade Tony Nwoye as the party’s candidate. Although, Tony Nwoye has described the injunction as ‘baseless’ and of no need, he revealed to our correspondent that his team was prepared. In a ruling Friday on the case brought before it by the Uba brothers and the other affected PDP members, the Federal High Court overturned the party’s suspension thereby freeing them to continue to lay claim to being the authentic flag bearer of the party for the November governorship election. He consequently, fixed September 5 hearing of the motion on notice. 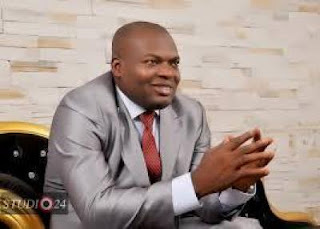 However, to further muddy the waters in the state, Prince Nicolas Ukachukwu last Wednesday also secured an order of interim injunction challenging the emergence and recognition of Tony Nwoye; he had also asked the court to restrain the INEC, PDP, Bamanga Tukur from recognising Nwoye as the party's candidate in Anambra State. Granting his application, the court which was presided over by Justice S.A Aliyu ordered that the defendants should stop further recognition of Nwoye as PDP governorship candidate in the November 16 governorship election in the state. Incidentally, Senator Andy Uba had also obtained a similar interim injunction from a Federal High Court sitting in Port Harcourt restraining both the PDP and INEC from recognising Nwoye as the party's candidate. Meanwhile, stakeholders in Anambra State have condemned the PDP’s ploy to confuse the electorate during the governorship election describing such as a tradition by the party in the state, pointing out that it was the same situation that cost them the election two years ago. Reacting on the matter, the Anambra State chairman of All Progressives Congress (APC), Chief Chukwuemeka Orjiakor described the saga as a ‘culture’ insisting that the party is confused. "Those things are PDP’s business and tradition because they have been doing that but this time, we shall match them one on one. They have showcased what they have, very soon, we shall showcase ours." To the coordinator of Anambra Foward Movement and an APGA chieftain: "PDP is making mockery of internal democracy in Anambra State and by extension in Nigeria. For me, I see it as PDP game; I also see it that PDP is confused. I am happy that PDP gave ticket to Tony Nwoye because he is from Anambra North which APGA stands for. Meanwhile, the embattled PDP candidate in Anambra State, Comrade Tony Nwoye when contacted declined comments on the matter but merely said: "I have no reaction on the matter for now but our team are already working on it. But note that it has no basis because..."
SECURITY has been beefed up in Offa Local Government Area of Kwara State ahead of today’s local government re-run election, the News Agency of Nigeria (NAN) reports. A NAN correspondent, who visited the council area on Friday, reported that police patrol vehicles were sighted moving round every nook and cranny of the town. 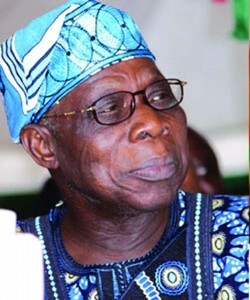 The atmosphere, however, remained tense as the two leading parties in the area, the Peoples Democratic Party (PDP) and All Progressives Congress (APC), rounded off their campaigns. The state cmmandant of the Nigeria Security and Civil Defence Corps (NSCDC), Mr Yerima Gana, said 600 personnel would be deployed in the council for the poll. Gana disclosed this when he paid a visit to the Offa office of the state Independent Electoral Commission (KWASIEC) on Friday. He expressed the command’s preparedness to support other law enforcement agencies to ensure a peaceful, free and fair election in Offa. In his remarks, the KWASIEC chairman, Abdulrahman Ajidagba, thanked the commandant for the support and expressed the commission’s readiness for a peaceful poll. Ajidagba said 284 ad-hoc staff had been engaged for the conduct of the re-run election in the council. The viral scandalous stories being published by bloggers, print and social media about the popular gospel music star, Evangelist Temitope Alabi has been described as a mere rumour that has no truth. 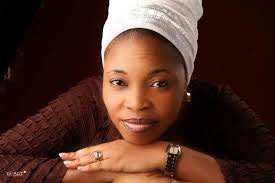 In a mild reaction to the purported scandalous sexual stories linking the gospel singer to her spiritual godfather, Prophet Ireti Ajanaku; Tope Alabi this morning took to her facebook page and appealed to her lover to ignore such stories as they are mere rumour and untrue. Operatives of the Joint Task Force (JTF) yesterday gunned down three suspected Boko Haram members who disguised as women while 20 others who also dressed like women were arrested while attempting to attack the Ibrahim Taiwo Police Station along Baga road. Witnesses said over 20 men, clad in Hijab (flowing cloth and veil, popular among Muslim women) and Abaya (a long rob also popular among women in Borno) were arrested around the Police station. The source said the attempted attack was repelled because a combine team of soldiers, policemen and SSS were keeping watch at the station which is directly facing the Baga Market. Besides, there was serious fight at Jajeri area of Maiduguri yesterday when suspected Boko Haram members detonated an Improvised Explosive Device (IED) in order to scare away dozens of youth of the vigilante groups, popularly known as 'Civilian JTF' who stormed the area in order to rid it of insurgents. Witnesses said the sound of the blast which rattled the people in nearby settlements as well as the sporadic gunshots by the insurgents did not deter the surging youth from advancing into the area seen as "safe abode" for suspected Boko Haram members in the last four years. Helen Musa, a food vendor told our correspondent that she saw when operatives of the Joint Task Force, (JTF) lent a helping hand to the "civilian JTF." Soon after the incident, the "civilian JTF" took over the Baga Road and carried out stop and search operation. A top security source confirmed that there was blast at Jajeri but neither the vigilante members nor any security personnel was injured. THE Academic Staff Union of Universities (ASUU) in Nnamdi Azikiwe University (UNIZIK), Awka, Anambra State, is divided over the on-going nationwide strike by the body. Two factions of the body in the institution, one led by Prof. Ike Odimegwu and the other, Committee of ASUU Progressives, led by Prof. Maduabuchi Dukor, maintained opposing positions. Dukor’s faction, comprising Prof. Edmund Egboh, Dr. Achunam Nwabueze, Prof. Emma Akuezuiloh and Dr. Jerry Emejulu, among others, said they were standing down the strike for now so as to complete the on-going second semester examinations in the university. They disclosed their readiness to join the strike immediately after the examinations, with due consultation with the stakeholders. Dukor appealed to the Federal Government to look into the demands of ASUU to restore and guarantee a conducive atmosphere for character and learning in the universities nationwide. Odimegwu’s faction announced joining of the strike yesterday during the congress held at the multi-purpose hall of the institution. He said the decision was in the line with the resolution of ASUU, NEC meeting held at the Olabisi Onabanjo University (OOU), Ago-Iwoye last month, directing all university campuses to proceed on nationwide strike. “Today, we have commenced on a total, comprehensive and indefinite strike. All academic activities, including lectures, supervision of projects, theses at all levels and so on, have been suspended on the campus,” Odimegwu said. According to him, ASUU’s action is to compel the Federal Government to implement the agreement reached with the union in October 2009: progressive increase of yearly budgetary allocation to education to 26 per cent between 2009 and 2020. He said other demands are setting up research and development units by companies operating in Nigeria, and teaching and research equipment provision to our laboratories and classrooms and federal assistance to state universities. Aran-orin . Powered by Blogger.